Ever since the first settlers made camp along the shores of Lake Michigan and the banks of the Chicago River, they had to find a way to make the long cold winter tolerable. They almost certainly turned to a hot fire and a strong drink, and Chicagoans have been doing basically the same thing ever since. Taverns have changed a lot in Chicago since then, but the basic premise has stayed the same: good company, food, and drinks, all served up in a warm and welcoming place. 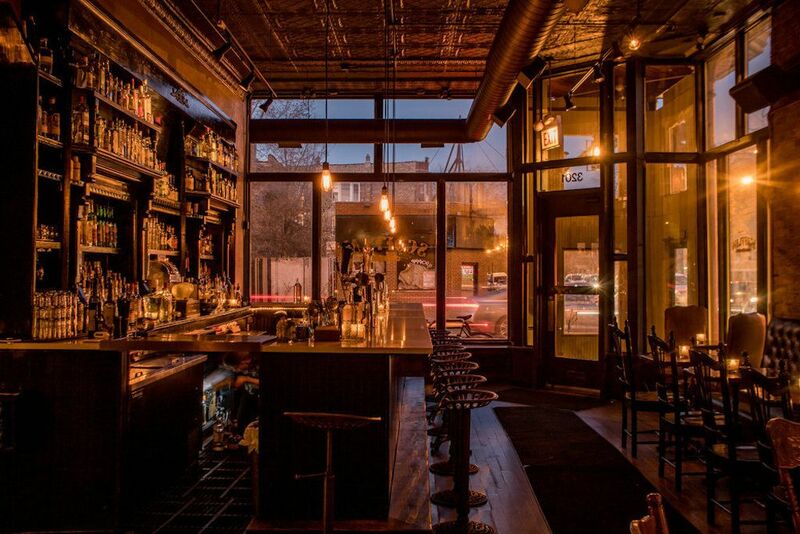 Here are our picks for Chicago’s coziest bars for a winter drink. 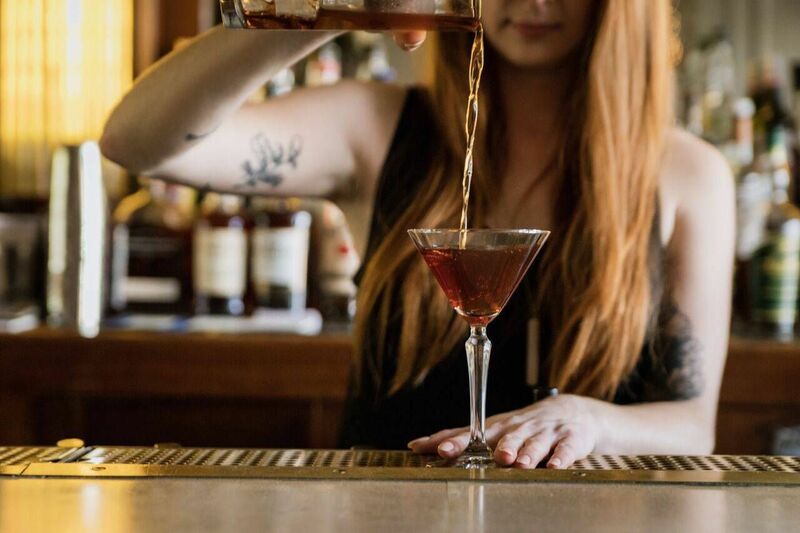 If you’re less into the hipster scene and more of a Lincoln Park drinker, Sheffield’s is the cozy winter bar for you in Chicago. Back when bars with good craft beer were actually hard to come by, Sheffield’s always had a great selection, and they still do. That, combined with a solid menu, two fireplaces, and a nice neighborhood vibe makes this a good choice on any cold winter day or night. 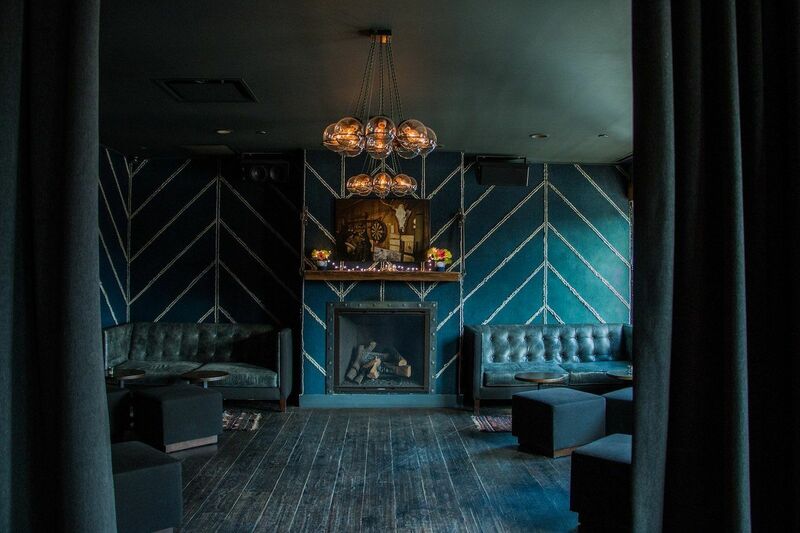 Scofflaw is exactly what you’d picture when you imagine a cozy bar in winter. The warm woodwork of the front bar area, the large (but well-insulated) windows inviting people in, and the back room with baroque sofas and a large roaring fireplace, all evoke a shiver of joy for anyone who has just stepped in from the cold. Their excellent gin-focused cocktail program and delicious small plates menu only add to the warm ambiance. Nothing says winter like holiday decorations, and if you want some holiday spirit to go with your holiday spirits, Augie’s is the place to be. This is a true neighborhood local, and they really go all out on decorating. You name a holiday decoration and they have it. There are trees, wreaths, lights, presents, snowflakes, holiday scenes, and even a running toy train. When winter rolls around, Augie’s truly gets lit. Sportsman’s Club is a cool kids’ homage to the Chicago neighborhood bar, and they do a pretty good job with it. Keeping the name of the Polish tavern that was in the space before, they decorated around that idea and settled on a mix of art deco and taxidermy that somehow works. All those stuffed deer heads and antler chandeliers bring a nice, cozy vibe to the place that makes it a great spot to warm up with a drink by the fireplace. To drink like a real Chicagoan, you have to get out of the trendy neighborhoods and into the more working-class areas. Chief O’Neill’s at the north edge of Avondale is just that. 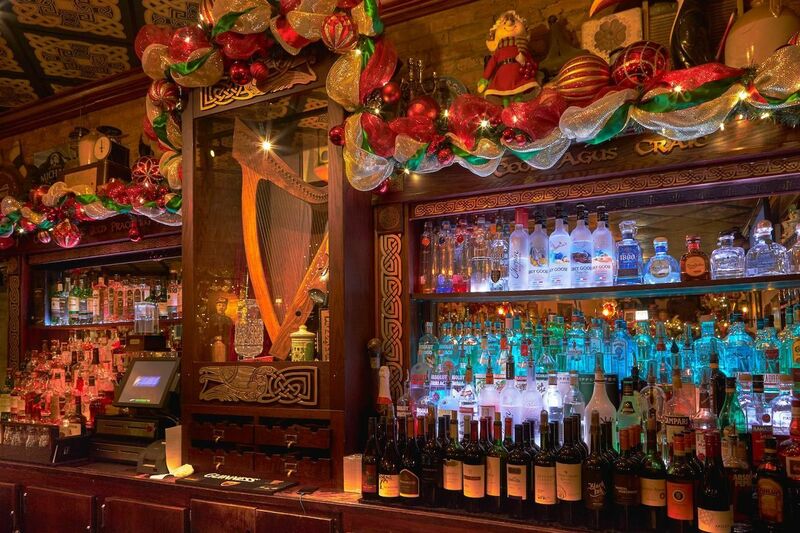 It’s an Irish pub that actually feels like a pub in Ireland, with talkative regulars, a cozy fireplace, stick-to-your-bones favorites like Guinness beef stew and shepherd’s pie, and good beers and whiskeys. Combine all those together and you’ll be warm and toasty in no time. When one fireplace isn’t enough, head to The Dawson where there are a number of them, including one outdoors. The building was once owned by two brothers named Dawson who manufactured high-quality fireplace mantles, so it’s pretty much in this bar and restaurant’s DNA. 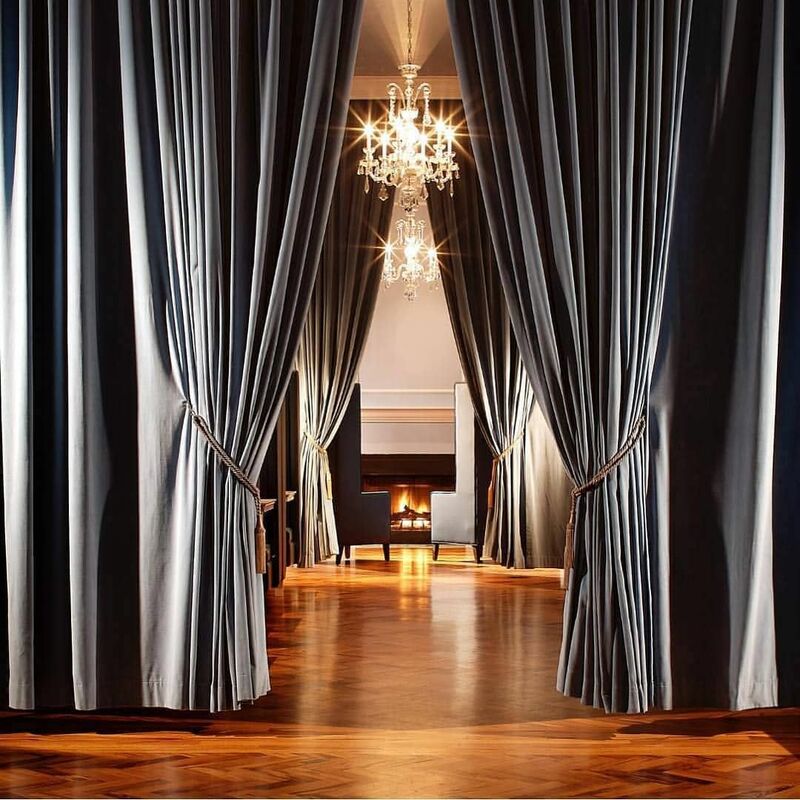 When you’re looking for somewhere a little nicer to get a great meal and some drinks, The Dawson is your best bet. Hidden behind a seemingly boarded-up facade with ever-changing murals, The Violet Hour is a speakeasy-style bar with some of Chicago’s best cocktails. The heavy curtains, chandeliers, high-backed leather chairs, and fireplace make it one of the city’s coziest bars, even when packed full of people. After a few exquisite libations, you might even forget that it’s winter outside of the windowless space. Simon’s Tavern is a great little local bar located in the formerly Swedish neighborhood of Andersonville. They serve good drinks at good prices, have a great jukebox, and often put on live music. In keeping with the heritage of the neighborhood, they serve a delicious glögg (hot mulled wine), and it’s the perfect way to warm up. And, of course, they have a fireplace.